Analysts have cautioned that moving to quarterly reporting could lead to less transparency and more speculation and errors. DETROIT — Ford Motor Co. this year will follow crosstown rival General Motors by moving to quarterly reporting of U.S. sales figures. The automaker is abandoning monthly reporting amid a busy product year, where it will continue the culling of its sedan portfolio and add a number of nameplates, including the Ranger midsize pickup and Lincoln Aviator crossover, and debut redesigned models of its Escape and Explorer crossovers. Ford, which is one of two automakers to hold monthly sales calls for analysts and media, will transition to a quarterly call and release beginning in April. It will still provide monthly figures to data agencies. 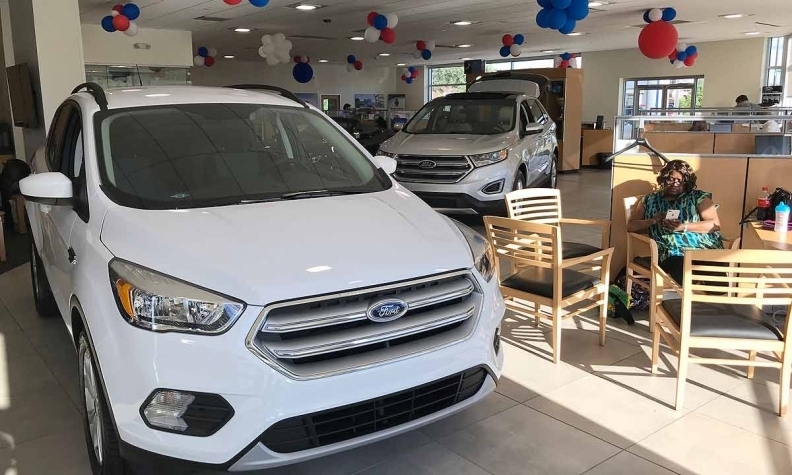 "We feel it's kind of transitioning to more of an industry standard," Mark LaNeve, Ford's vice president of U.S. marketing, sales and service, said Thursday on a call with analysts and media. "We think the intense focus on month-to-month numbers is just not how we want to run the business. We believe quarterly will provide great transparency." GM moved to quarterly sales reporting last April. Ford, at the time, said it would assess the situation, noting that there's oftentimes volatility in monthly figures. Analysts have cautioned that moving to quarterly reporting could lead to less transparency and more speculation and errors, especially if some automakers follow suit and others do not.